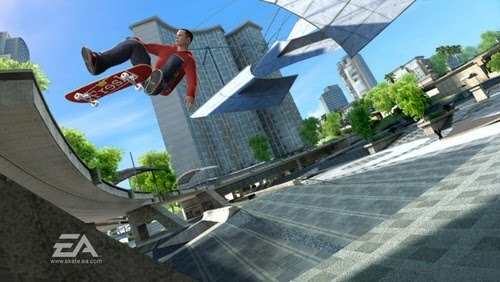 We don't normally place the intro movies to games in our reviews, but after EA sent us SKATE 3 , I watched the intro video about 3 times in a row before even playing the game. A live-action short, that plays like a "who's-who" of skateboarding legends, from Eric Koston, to Danny Way, to Rob Dyrdek and even Jason Lee (as Coach Frank). The video is your first taste of the polish you're in for. This is NOT just a "RIDE". If you've played any of the previous titles in the SKATE series, you immediately know the difference in gameplay. This isn't arcade-like controls, a'la Tony Hawk, but a more realistic approach to surfing the sidewalk. Your board is controlled by flicking the right analog stick. A quick pull back, setup and flick forward, is your basic ollie. Nollie in reverse, and a pull-back, half-circle towards the right will shove-it. It's a fairly intuitive control scheme. Shoulder buttons/triggers act as modifiers with grabs, etc. After the awesome opening video, you can choose to familiarize yourself with Coach Frank and his training, or go right into the meat of the career mode. The story this time out, is you're out to start your own Skateboarding company, but even more than that, you're out to build your skateboarding empire. Start with a team, and expand to building custom skate parks, a giant ramp park, then film the action and share online. CO-OP is a big player in this game, as you'll take on team challenges and compete against other skate crews online with Xbox Live or PSN. This SKATE entry is all about creation and sharing that with the world. Oh, and you can just skate as well. Shred it up, and if playing with others isn't your bag, you can just free skate to your hearts content. 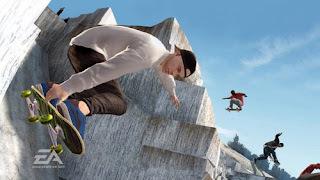 Considering SKATE 3's release is about 16 months after the release of SKATE 2, we were fearing a little bit of the "yearly" update syndrome that plagues most sports titles, but the team at Black Box have added plenty of new things to see and do to really separate it from it's older brother. 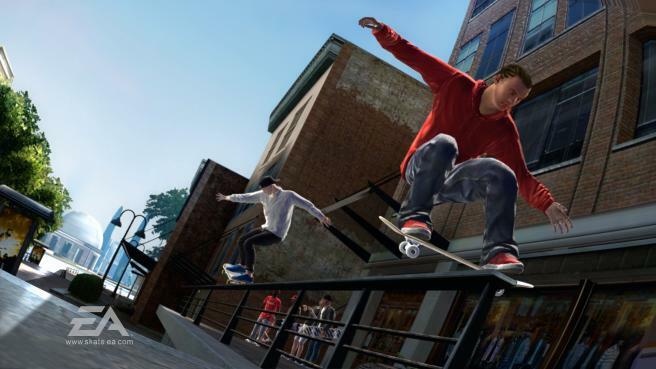 So far, the SKATE series has avoided the Tony Hawk pitfalls, and we will continue to enjoy it as long as possible. Mashbuttons gives SKATE 3 a 9 out of 10.